Shake well. Ensure surface is cool to the touch. Thoroughly clean surface first using McKee’s 37 Mildew Remover or All Purpose Surface Cleaner. 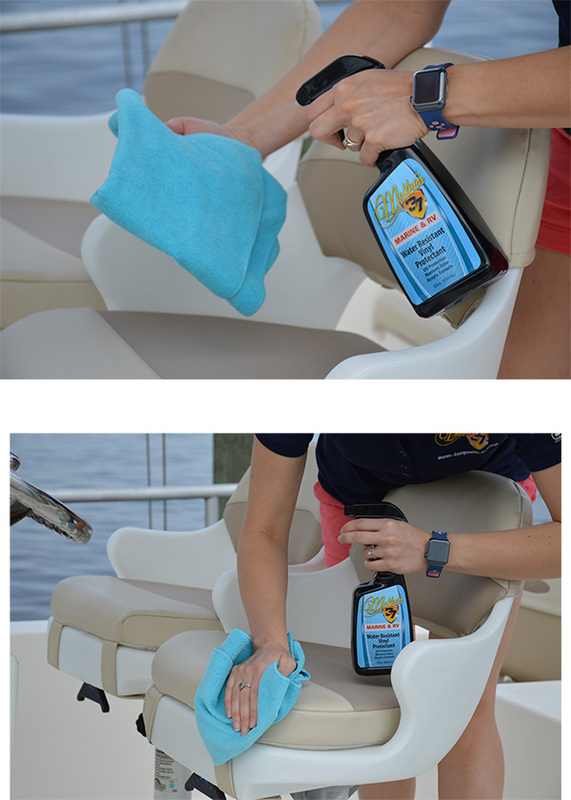 To avoid overspray on surrounding materials, spray product directly onto microfiber towel. Work the product into the vinyl, adding more as necessary. Apply a second coat 15 minutes after the first coat for even longer-lasting protection. Works Great 5 I use this on my tonneau cover for my pick up truck. Its 8 years old and looks as good as new again. The water beading on it is a joy to see. It has been 3 months since the last application and is holding up well. Extremely easy to apply and long lasting too.